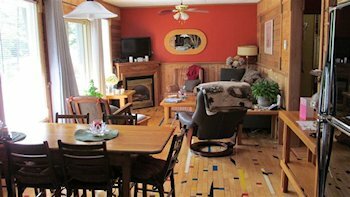 This is a pristine, clean cottage with lovely grounds.Short walking distance to safe, clean shores of Georgian Bay. Supurb Sunsets across the Bay. Less than a 10 minute drive to one of Georgian Bays' Finest Beaches at Wahnekewaning. A quiet, friendly neighbourhood at the "Tiny Beachs". 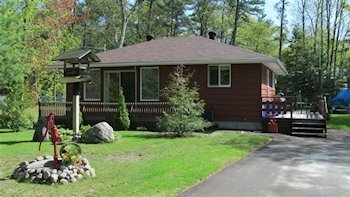 distance to safe sand cove beaches,semi-private with Sand Castle Cottage Assoc. groomed walking trail and park areas.